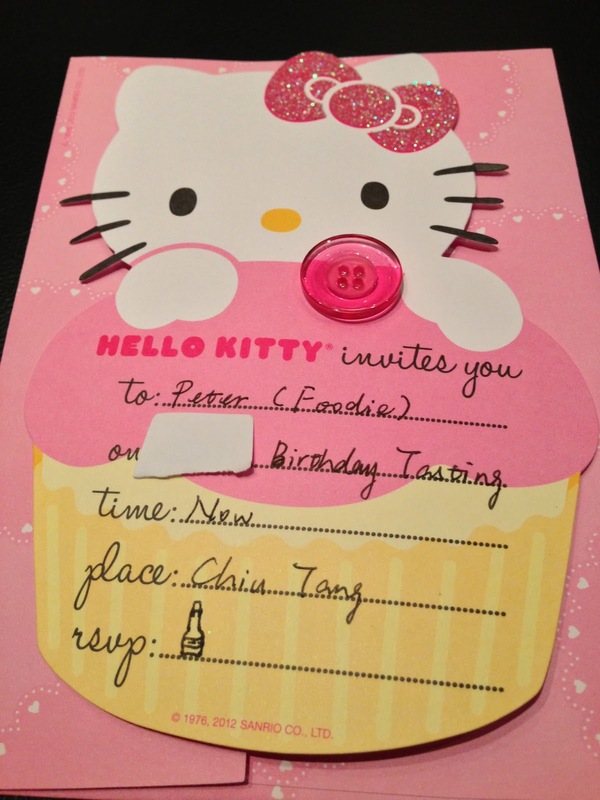 A friend very generously invited me to her belated birthday dinner tonight. It was always going to be a huge feast, and I had been looking forward to this gathering for some weeks now. It was also interesting because I hadn't revisited Chiu Tang (潮廳) since my first visit last year, and looked forward to trying out the cuisine again. We started with a trio of Chiuchow appetizers (潮式三彩盆), which included deep-fried Puning tofu (酥炸普寧荳腐), country-style chicken roll (家鄉野雞卷) and deep-fried Bombay duck (椒鹽九肚魚). I didn't want to have shark's fin, so I changed to double-boiled soup with fish maw and conch (花膠螺頭老火湯). This was really delicious with the addition of chunks of lean pork and chicken feet. Pan-fried oyster omelet (香煎蠔仔酪) - pretty decent, but I would have preferred something a little drier. Salt baked virgin mud crab (鹽燒奄仔蟹) - these young female crabs had a decent amount of roe. Reasonably tasty. Braised large-scale grunter (紅炆海臘魚) - the large-scale grunter (鯻魚) was incredibly soft and tender, and if it were any softer I would have described it as "mushy". Stir-fried kale with beef in shacha sauce (沙茶牛肉蘭遠) - the kale was crunchy and sweet, and the beef was fatty. Love the spiciness from the shacha sauce (沙茶醬). Pan-fried e-fu noodles with vinegar and sugar (糖醋乾燒伊麵) - you can't have a birthday dinner without noodles, and you can't have Chiuchow cuisine without this classic dish. Fried in a pan like a pizza until one side if browned and crispy, then simply sprinkle some sugar and add a few drops of black vinegar on top. Delicious. Ginkgo and mung bean soup (福果綠豆爽) - it's been a while since I last had this Chiuchow dessert. The mung bean is first split in halves and the husks removed. Instead of being mushy after hours of boiling, the beans are still crunchy. The ginkgo nuts also have plenty of bite. Great for the summer. Of course there was a cake, and it was very, very yummy. 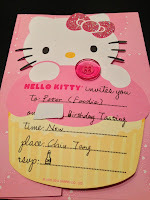 But the memorable thing about the cake was not how good it tasted, but this decorative item on top… Hello Kitty is holding a Hermès Birkin with one paw, and a bottle of Henri Jayer Cros Parantoux with the other… Looks like the mouthless cat's got expensive taste! But the main event tonight was the selection of wines, and we were asked to blind taste and guess their identities. 1969 Dom Pérignon Œnothèque (disgorged 2006) - really heavy toast in the nose, with grilled corn. My first sips were surprising in that the wine had almost no palate to me, but later I was able to taste the acidity, although I found the finish a little short. Given that there were no bubbles left yet the wine showed no sign of oxidation, I guessed it was an old one but recently disgorged. 1991 Le Pin - very ripe and sweet, jammy nose. A little chalky and green pepper, along with some coffee later. One whiff and I pegged it as Le Pin, since all the bottles I've drunk have a distinctive nose. 1991 Chave Cuvée Cathelin - an awesome wine from start to finish. Floral notes hit first, along with sweet fruit. Later on the animal and leather notes came out. I guessed it was La Mouline based on the floral notes. Many thanks to 娜姐 for a wonderful evening.